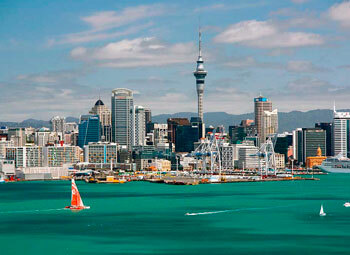 Auckland is a city with mild climate without extreme temperatures. Is one of the hottest and sunniest cities in the country. 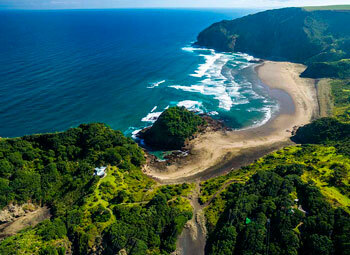 The average summer temperature, from December to February, is 23 ° C, and during the winter, from June to August, it is 14 ° C.
Auckland, like New Zealand, is magnificent and unforgettable. Full of natural charms and unforgettable attractions worthy of a powerful metropolis. 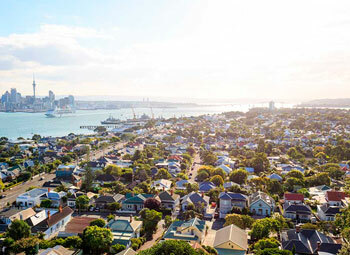 New Zealand's largest city, with a population of about 1.2 million, Auckland, the City of Sails, is one of the hottest cities that you can find natural beauties and intense nightlife that attract the kiwis (as New Zealanders are called) and people from all over the world. A good example of this is the Viaduct Harbor area or the neighborhood Ponsonby and Parnell, where you can find nightclubs, bars, restaurants, cafes, theaters, cinemas and other attractions common to metropolitan life. The Sky Tower - the tallest tower in the southern hemisphere (328 m), occupying the 12th place worldwide in height and overtaking the Eiffel Tower. Is also part of this itinerary, the casino and the restaurant with 360° viewing of observation deck. 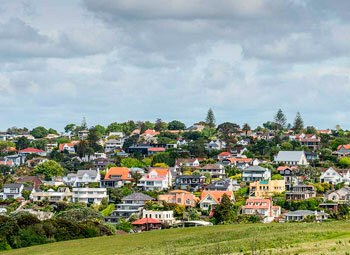 For those who do not like the hustle and bustle of the big city, it is worth to escape to the Hauraki Gulf islands, including Waiheke Island, where you can invigorate the energies visiting beautiful beaches, the vineyards and savor delicious food in the restaurants and cafes Locations.